Es wurden 15 Knowledgebase Artikel zwischen dem 04.Dec.2014 und 05.Dec.2014 veröffentlicht. This problem is corrected in a Sun Solaris update for the Xorg X server. 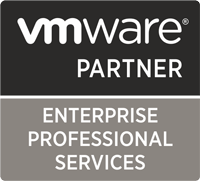 For ESX Server 3, install VMware Tools to fix the problem. To request a new product feature or to provide feedback on a VMware product, please visit the Request a Product Feature page. To connect to vCloud Air:Go to File. Click Connect to VMware vCloud Air. Enter your VMware vCloud Air credentials (username and password). Click Connect. PR 890656: On an ESXi 5.1 host, status of some disks might be displayed as UNCONFIGURED GOOD instead of ONLINE. This issue occurs for LSI controller using LSI CIM provider. PR 1088790: On a Linux virtual machine, the VMware Tools service vmtoolsd might fail when you shut down the guest operating system. You are unable to install VMware vCenter Update Manager. Installing vCenter Update Manager fails. You receive the error:Error 1309.Error reading from file:C:…VMwarevCenter5.5UpdateManagerprogram filesVMware\Infrastructure…vumclient.zip. Verify that the file exists and that you can access it.